The picks and early round 1 standings for this week are on the site. We chose 25 different golfers. That's less than I would have guessed. 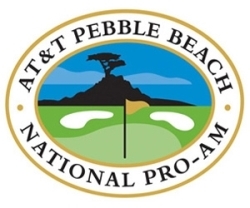 For the first time since last year's Pebble Beach tournament we have a unanimous pick. Last year it was Dustin Johnson, this year it's everybody's favorite comeback kid, Eldrick "Tiger" Woods. Well, ok, he's not everybody's favorite... and he's really not a kid anymore... and a comeback? Is it really considered a comeback if you start playing pretty well again after you stop playing because your personal life is in shambles and you're such a mental basket-case that you can't take the club back, then have to recover from various HGH-related injuries, all in the middle of two "swing changes"? ESPN and The Golf Channel think so. But either way, he is a unanimous pick this week. D.J. is the second favorite golfer, ending up on 13 teams. Hunter Mahan was chosen by a dozen players. Nick Watney was picked 11 times. Rickie "Would You Please Bend the Bill Of Your Cap" Fowler and Phil "Would You Please Loose Some Weight and Make a Damn Putt" Mickelson made it on to 7 teams each. Bryce Molder got the nod 6 times. Five of us liked "Diamond" D.A. Points. The tour's latest choker, Spencer Levin, and Brendan Steele are four-baggers. John "Hey? What?" Huh and Z.J. are treys. The only two deuces are Ricky Barnes and Gee-off. Unique picks this week are ample, but not really plentiful... 11 total. Chris and Dan have the most with two each. Steve, Hugh, Brett, Elise, Brian and both Mikes have one each. The other six players missed out on a unique.